Tumbled Brown/Golden Tiger Eye — Tiger Eye is an attractive mix of yellows, golden browns, and very dark browns with the variations and shimmer typical to Tiger Eye. Tiger Eye has a beautiful flash when held under a light. Metaphysically, Tumbled Brown/Golden Tiger Eye is a powerful Solar Plexus Chakra stone, helpful in manifesting ideas into reality and giving courage in times of change. Use Golden/Brown Tiger Eye with the Solar Plexus Chakra to increase your personal power. Combining Earth energy with that of the Sun, Golden/Brown Tiger Eye draws Spiritual energy down to the Earth, while still keeping you centered here on the ground. Sunny Tiger Eye brings brightness and optimism to a situation, and shines insight onto problems. Known as a stone of protection, especially for travelers, Tiger Eye brings good luck and prosperity to the user. Ancients used Tiger Eye as a talisman against bad luck and curses. Tiger Eye attracts abundance and can also stimulate the rise of Kundalini energies. Tumbled Tiger Eye is a must for anyone's healing kit. Tiger Eye enhances psychic abilities and balances the lower Chakras. 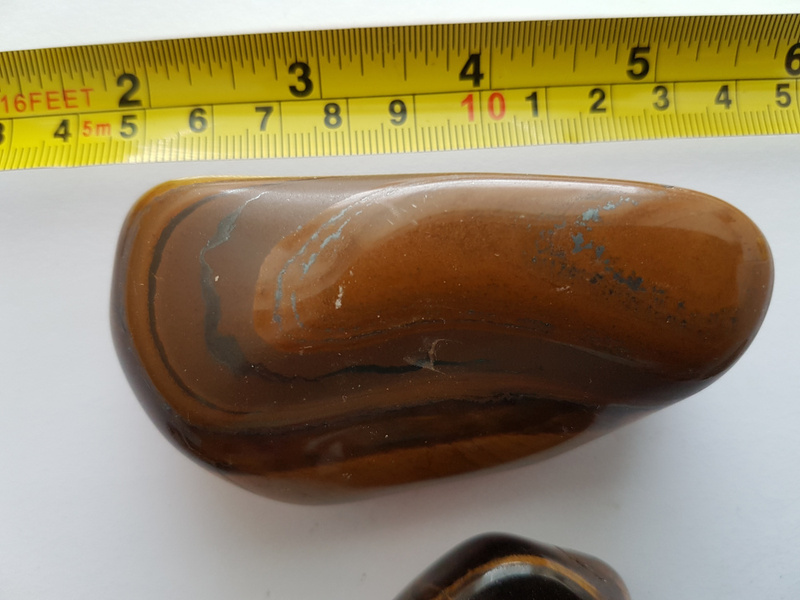 Especially earthy people will find success increasing their psychic abilities when using Tumbled Tiger Eye when working with the Third Eye Chakra. Use Tiger Eye with the Sacral Chakra to bring spiritual grounding. 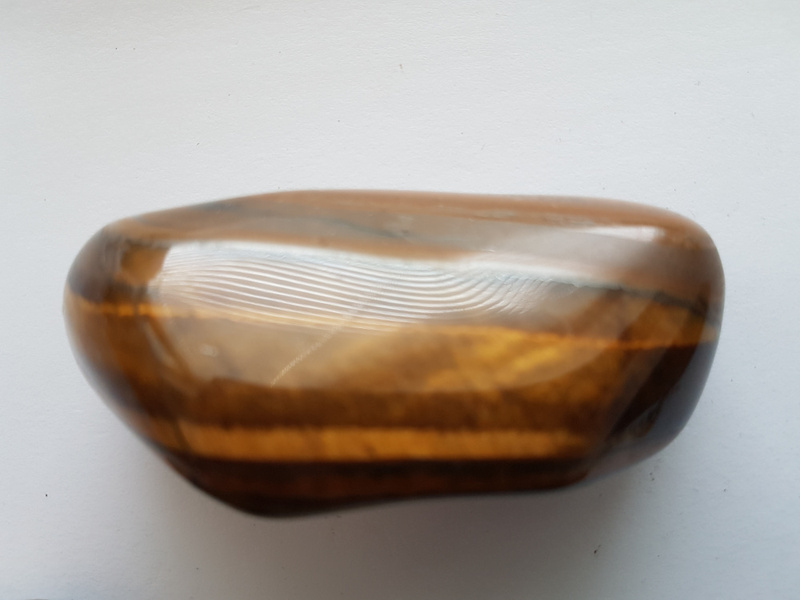 You can carry Tumbled Brown/Golden Tiger Eye in your pocket when you need a boost of creative energy, or when dealing with issues involving power, will, control, and/or concentration. While all forms of Tiger's Eye help to raise vibrations, they also connect these energies to the lower Chakras in balance, which keeps one from feeling disconnected when working with higher goals.